Did you ever wonder about the qualifications of the person who holds the power of the needle? Vaccines are being given more and more by healthcare workers other than a Registered Nurse. In fact, chances are good that the person holding the syringe is not an RN but could well be an immunizing pharmacist or a Medical Assistant (MA). There are many categories of MAs, each with its own education and certification requirements. In this article, we explore the unique education and certification requirements for Certified Medical Assistants (CMA). All MAs undergo a rigorous course of study, but the American Association of Medical Assistants (AAMA)-required course of study for CMAs must be certified by the Commission on Accreditation of Allied Health Education Programs (CAAHEP: http://www.caahep.org/) and/or the Accrediting Bureau of Health Education Schools (ABHES: http://www.abhes.org/). This is different from many MA programs, whose accreditation falls under the school, and it means that CMA students everywhere receive standardized training that conforms to CAAHEP requirements. The CMA training curriculum ensures that CMA students gain competency in a wide variety of areas. I contacted Virginia Chambers1, CMA (AAMA), BS, MHA, who is the Medical Assisting Department Co-Chair at Portland Community College (PCC). She shared the list of required competencies for a CMA. By the time students sit for their exams, they are well-versed in basic practice finances, communication, managed care and insurance, medical coding, legal issues, and of course, patient care. CMAs are able to step in and fill any number of roles for their employers because of this comprehensive training. CMA certification exams also differ from those for other MAs. I took the opportunity to speak with Paula Purdy2, CMA (AAMA), who is Director of Operations for Medical Society Services, Inc., about these differences. “The one big difference,” according to Ms. Purdy, “is that the AAMA certifying board is the only medical assisting certifying agency that uses the National Board of Medical Examiners (NBME) as the consultant for its certification examination. CMA (AAMA) exam scoring metrics are processed by the same professional psychometricians who provide this service for United States Medical Licensing Exam (USMLE) candidates. The CMA (AAMA) exam is a highly valid and reliable indicator of the knowledge necessary to be a competent medical assistant.” The AAMA exam is not easy. The overall student pass rate is 67 percent. At the time of this writing, PCC is the only school in the Portland metropolitan area that has a 95 percent or above student pass rate. The AAMA requires recertification every 5 years. In those five years, the CMA (AAMA) must earn 60 continuing education units (CEU).These CEUs must reflect the breadth of training areas. Ten CEUs must be administrative; ten CEUs must be general; and ten CEUs must be clinical. The CMA can choose how to fulfill the remaining thirty CEUs. If the CMA (AAMA) doesn’t complete the CEUs on time, they have six months from the expiration date to do so or they must sit for the exam again. Keep in mind that all MAs are under the direct delegation of the hiring physician. An RN can observe and teach an MA. RNs can also supervise an MA and delegate tasks to them according to Oregon State Board of Nursing (OSBN) Nurse Practice Act Division 45 and 47. RNs can delegate several types of tasks to MAs, but immunization injections are not one of the tasks. The hiring practitioner delegates immunization injections to the MA. Are any Oregon employers putting credentialed healthcare workers to work? Yes. Cathy Cassata in CMA Today magazine3 (Nov-Dec 2013) talks about CMAs and the Oregon Health and Science University ambulatory care services. “As of April 1, 2013, all newly hired medical assistants are required to become CMAs (AAMA) within six months of being hired.” We can add Providence, Legacy, Kaiser, and Adventist to the list of employers that actively recruit AAMA-certified individuals for their practice sites. Oregon has approximately 1,200 CMAs (AAMA) in practice. The next time you get a vaccine, take a good look at the initials after the name of the person holding the needle. If there are none, then ask. It may well be a CMA (AAMA). If so, you are in well-educated and credentialed hands. 2 Certified Medical Assistant (CMA) American Association of Medical Assistants (AAMA) ®, the current Public Affairs Liaison Team Manager and past State President (2013) of the River Cities Chapter of Medical Assistants (CMA,AAMA): http://www.aama-ntl.org/) Ms. Purdy currently serves on the AAMA Board of Trustees. Jeanine Whitney is an active member of the PCC Willow Creek Education Advisory Team and has worked with the Program Advisory Committee at Anthem College. For additional certification information, please contact individual institutions or the Accrediting Bureau of Health Education Schools at http://www.abhes.org/news/show/291. EDITOR’S NOTE: A study recently published in Pediatrics confirms the chicken pox vaccine is effective and long-lasting. Read the LA Times coverage. Blindness doesn’t mean everything is dark and you can’t see. Blindness means that your visual sense has been literally turned ‘off.’ Your sight is suddenly absent. There is no light. There is no dark. There is only air touching your skin—sometimes bruising you when you run smack dab into the bedrail of your hospital bed. At least being hospitalized gave me time to review how I had gotten there. Fourteen days before I had taken swab cultures of infected facial lesions on an older male gentleman. At the time I thought of him as borderline-ancient. He must have been at least 50 years old. Why was I doing the cultures? No one else wanted to go near him. There were whispers of shingles. My uneducated mind saw roofing tiles. Not having had chickenpox and not knowing what shingles was I volunteered to do the cultures. After all, I was gowned, gloved, masked, and shoed. All that remained open to the air was my hair. He wasn’t my patient and I wouldn’t be in his room that long. The subsequent headache was unlike any I had ever had and believe me, I’ve had headaches all my life. It was late in the afternoon and my five-year-old daughter was playing outside. She had a golden halo around her, something I thought was a trick of the sunlight beneath the cloudy sky. I turned my head to see her more clearly and lightening exploded at the base of my skull. The next thing I knew I was on my knees searching for the phone. When you’re a nurse you develop an awareness of those physicians around you whom you would like to take care of you if you got sick. I called Dr. S_____. All I could say was that my head hurt. He must have asked me questions but I don’t remember them. I don’t remember driving to the hospital either but I do remember the excruciating evening sunlight. The next thing I knew I was in the ED. One of my friends was sitting with Raven. She told me my father was on his way. I was turned to my side and someone pulled my knees up to my chin. I must have passed out because my next awareness was the sharp pain of a needle being inserted into my lower back. I didn’t hear any voices. There was no conversation around me. I was floating somewhere quiet. When I opened my eyes there was nothing. I blinked. Still nothing. The blindness lasted four days. People came and went; over four days they did blood tests every four hours. I came to detest the tightness of the blood pressure cuff as they searched for veins. A blood pressure of 60 over nothing didn’t help. They kept me flat after the spinal tap. I felt like I was always in slow motion, falling over a cliff. He must have seen the question in my unfocused eyes because his next words were “all your spots are on the inside.” That at least explained why all the young doctors had worked me up for Lyme disease and tick fever while Dr. S____ was out camping with his kids. Then Dr. S____ continued with “you can’t be here.” At first I thought he meant the hospital. He did, sort of. He really meant the med-surg floor as there was no isolation room available. They literally double-bagged me and covertly took me out the service elevators. Somewhere along the line my father had come for Raven and taken her home to my mother, who was a pediatrician. She figured if Raven was going to get sick she would be better off with her rather than me. Raven stayed with grandma for the next 3 months while I missed work. The blood bank people came and took my blood to make a vaccine for kids with cancer. At least I think that’s what they said. The headaches came and went and then one day I tried the first Acyclovir. That’s when I realized that even though I never had any spots I had headaches due to varicella viral flares. I can see and didn’t need glasses until I turned 50. I can usually keep the headaches away with regular doses of anti-virals. But the scarring in my brain will always be with me. I got my Zostavax vaccine (The Shingles Shot) on my 60th birthday! More than a year passed before I had another shingles headache. Even now, I don’t have to take the anti-virals daily. Back in 1977, there was no vaccine for varicella. I spent less than 10 minutes in the room with the client. For more information on chicken pox, please visit our website. Comments Off on HAPPY NATIONAL NURSES WEEK! “Many hats, many hats, many hats” is Carol Easter’s response when asked what her work was before she came to the Oregon Immunization Program. With an early career as a wedding coordinator, followed by 28 years as a registered nurse, Carol has definitely worn many hats. Right out of nursing school, Carol started as a critical care and labor & delivery nurse. Critical care quickly became her focus, and she ultimately worked as a nurse at most of the larger hospitals in the Portland area. 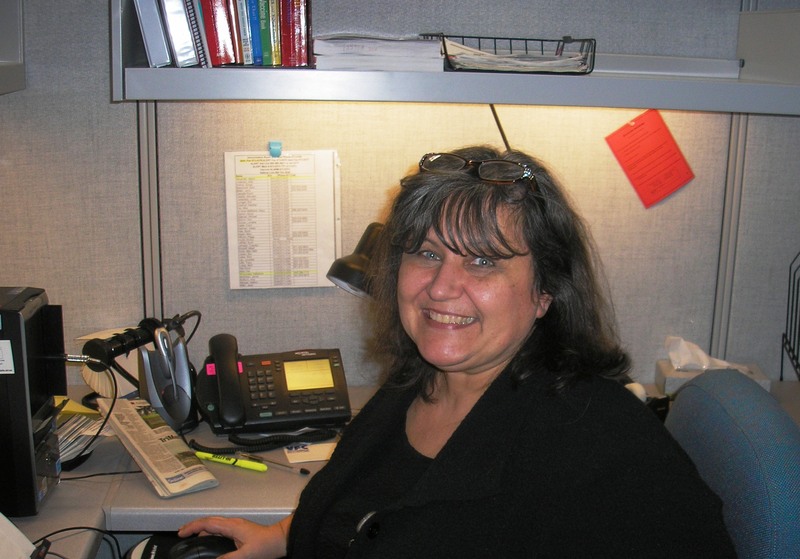 Later, in her position as a service coordinator for medically fragile children for the state, Carol was able to have an impact on the rules that were written for medically fragile children who are served by the Oregon Health Plan. Carol has two daughters, a 19-year-old college undergrad and a 23-year-old in law school. She is passionate about animals and has spent many years volunteering off and on at the Oregon Humane Society. She has also volunteered for school events and fundraisers as well as at community events for emergency preparedness. Carol still occasionally coordinates weddings. She loves history and travel. When she’s off work, she’s likely to be found at a local library or museum studying up on the past. Carol brings a wealth of experience to the Oregon Immunization Program, but more importantly she brings passion for the work of immunization. And of course there are all those hats. Pertussis (whooping cough) can have serious effects on infants ≤12 months of age. The loud “whooping” sound can be heard in some infants along with violent and rapid coughing that repeats over and over*. Still other infants may have a barely noticeable cough while others might even experience apnea (where they stop breathing for a time), which can be a life-threatening event. The Advisory Committee on Immunization Practices (ACIP) has been considering how best to prevent pertussis in very young infants. DTaP** vaccines are not given until 2 months of age and this leaves a gap in coverage. In 2012, the ACIP voted to recommend giving one dose of Tdap*** with every pregnancy between 27 and 36 weeks gestation.2 The Tdap vaccine given to pregnant women will stimulate the development of maternal antibodies. The antibodies will then pass through the placenta and help protect the newborn against pertussis. Cocooning is another recommendation from the ACIP. People in close contact with infants ≤ 12 months of age should be vaccinated to protect against pertussis. The cocooning people might include parents, siblings, grandparents, child-care providers and health-care personnel. Immunization in the third trimester of pregnancy along with cocooning efforts are steps that can be accomplished with education efforts and cooperation. The goal is that prevention will stop life-threatening events related to pertussis. *The recording is of a young girl with whooping cough. You hear her paroxysmal cough first without a whoop, but she is a little sick. You then hear two more paroxysms, both followed by the distinctive whooping sound. It is the noise of breathing in, and it comes from the larynx (voice box). EDITOR’S NOTE: Get ready! Oregon Immunization Program’s ImmiNews e-newsletter is now coming at you every single Wednesday, full of the latest immunization news from across Oregon and the world! Tell your colleagues and friends.